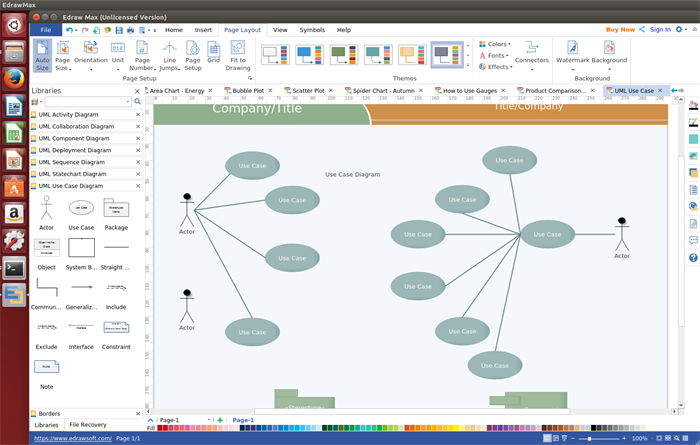 If you are looking for a use case diagram software for Linux, try Edraw, an all-in-one diagram program, which is capable of creating a variety of diagrams except for use case diagrams. A use case diagram is a graphic depiction of a user's interaction with the system that shows the relationship between the user and the different use cases in which the user is involved. It is usually used in system analysis to identify, clarify, and organize system requirements. Edraw, a popular diagram program for Linux used to create various use case diagrams and some other UML diagrams. 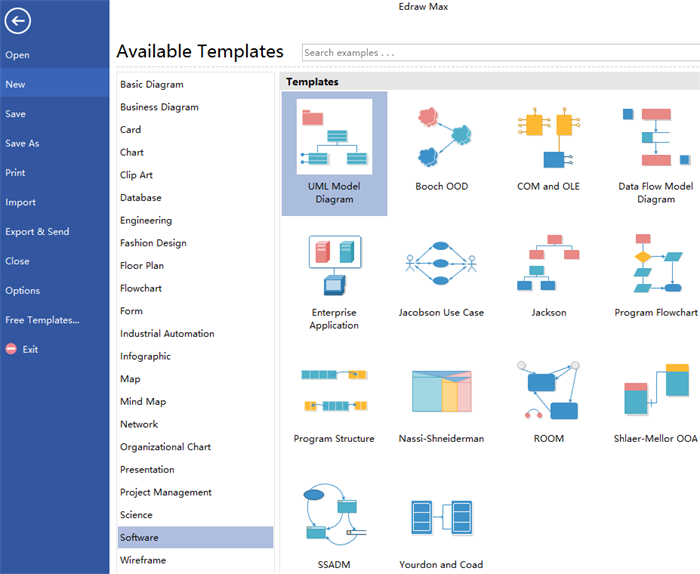 Its drag and drop functionality and facility to create diagram include abundant built-in shapes and templates which allows users to create use case diagrams with ease as well. 1. Great replacement of Microsoft Visio with affordable price and lifetime upgrades guaranteed. 2. All-inclusive diagram program which can create UML activity diagram, UML component diagram, UML state chart and so on, not just use case diagram. 3. 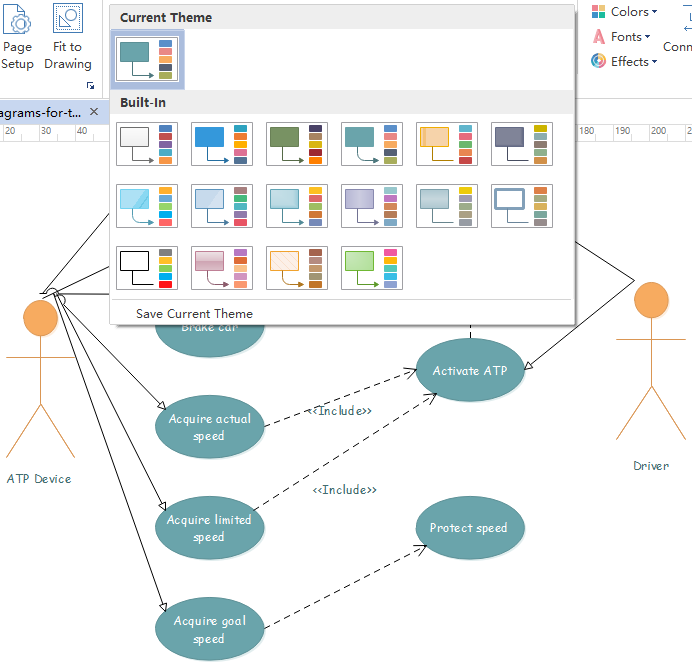 Built-in use case diagram shapes and templates makes diagram creating much easier and faster. 4. Free designing special shapes with embedded drawing tool is allowed. 5. Inserting attachments makes diagrams rich in contents and tidy in visual effect. 6. It’s pretty convenient to share diagrams with others by exporting them to common formats. 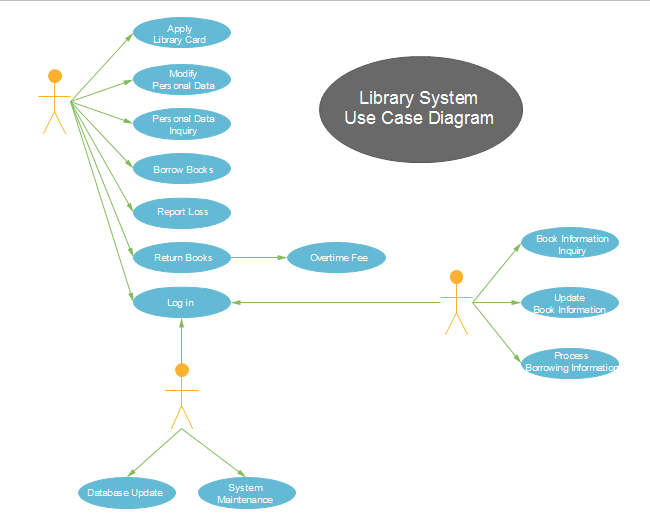 Below are use case diagram shapes provided by Edraw Linux use case diagram software. Just feel free to drag, drop and edit them to meet different situations or create special shapes to meet special requirements with prepared drawing tools. Follow below 6 drag-and-drop steps and create your use case diagram on Linux without any efforts. Step 1. 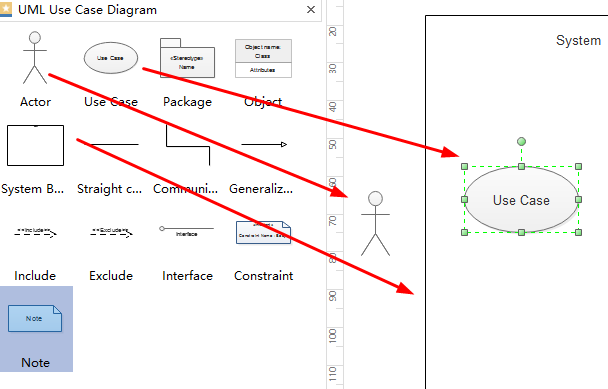 Launch Edraw, go to File menu > New > Software, then double click the icon of UML Model Diagram to open a new drawing page. Step 2. Switch to left libraries, drag and drop system shape, actor shape and use case shape on the drawing page. Edit the colors and dimensions to fit your needs. Step 3. Connect shapes by dragging connectors from left libraries or from the Connector under Home page. Step 4. 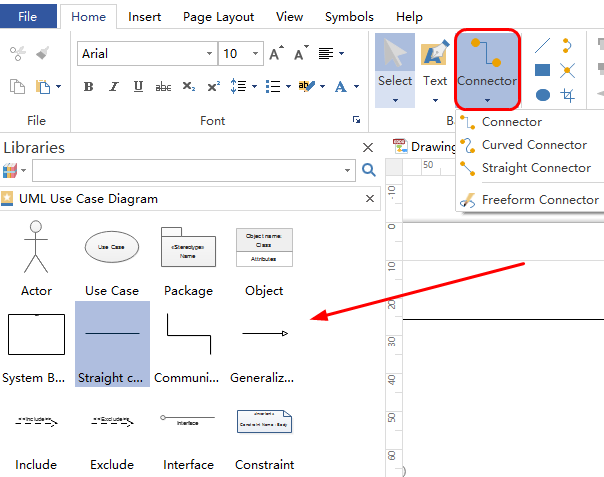 Add contents by double clicking the shapes directly or clicking Text to open a text block, then add key contents. Step 5. 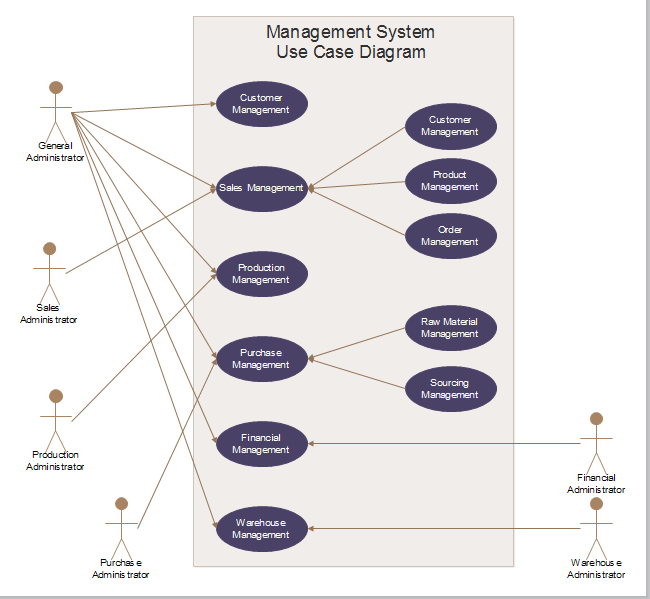 Navigate to Page Layout and add the them from built-in themes to make the use case diagram more attractive. Step 6. 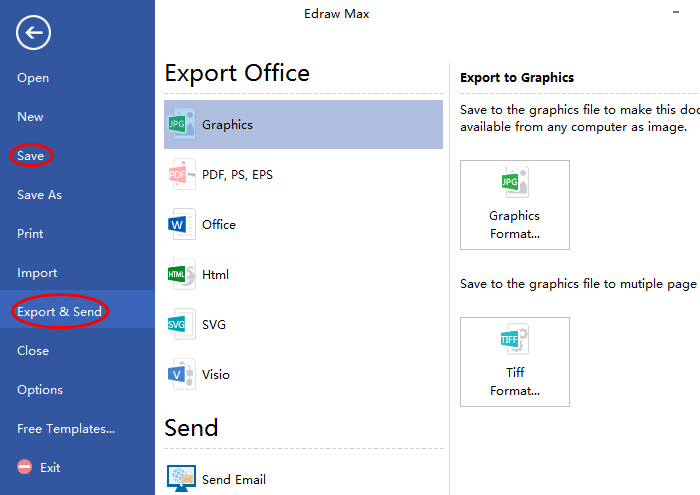 Go back to File menu, click Save to save the diagram or click Export & Send to export depend on yourselves. Require analysis and high level design. Model the context of a system. 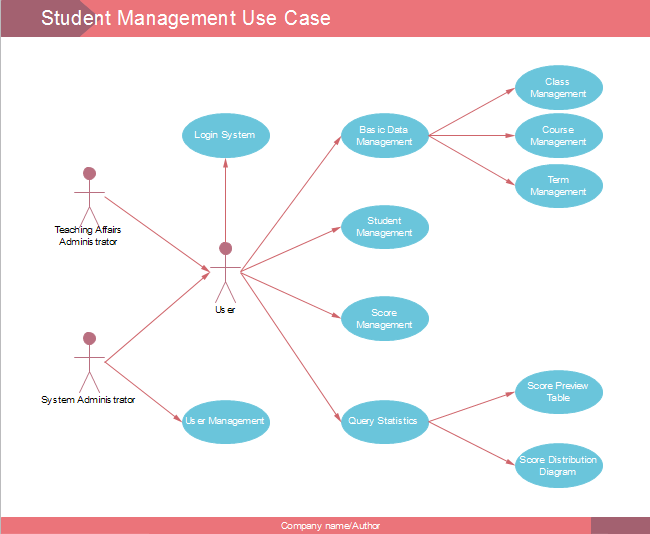 Below are use case diagram examples professionally drawnd by Linux use case diagram software. All the examples it offers are free to download, edit, share and print. So just download the one you like and customize the contents to make it your own new use case diagram.